The Cloister oceanfront condominiums in Atlantic Beach, Florida. 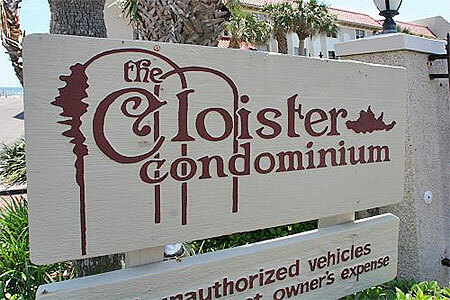 The Cloister is a gated oceanfront condominium community located in Atlantic Beach. Residents enjoy panoramic ocean views from the terrace, heated swimming pool, private pier and beach access. Garages are available for purchase.